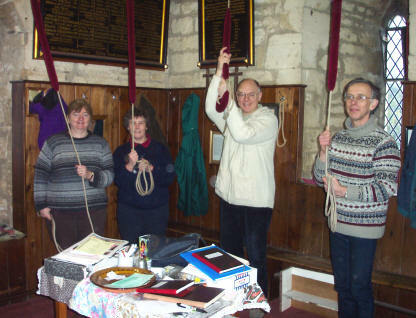 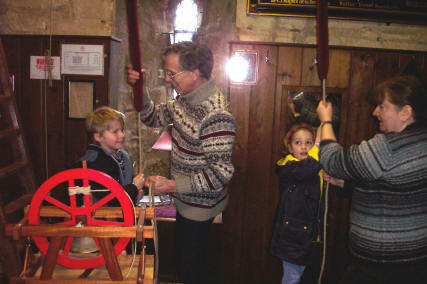 Some of our bell ringers, Mary Lynch, Janice and Jonathon Sweetman and David Lynch (above) held an open morning on Saturday 31 January from 1015 to 1130 when we were all invited to come along and see how they ring the bells in the traditional English way. 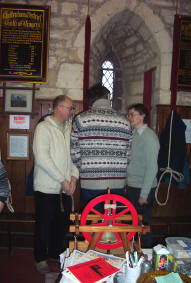 We all had a go for ourselves (under supervision). 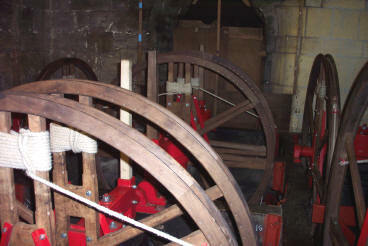 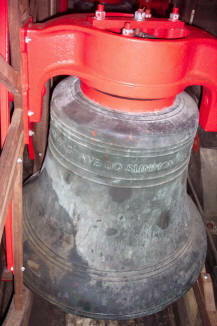 Access to the ringing room is by the stone steps on the north side of the tower. 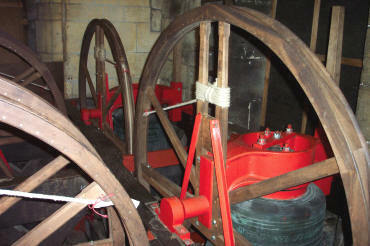 The first thing we noticed was how steep the steps and ladders were. 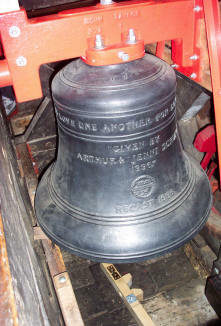 Mary Lynch, the Tower Captain, described the action of a bell with the aid of a model and, two more steep and narrow climbs later, the Steeplekeeper, David Lynch, showed us round the bells themselves. 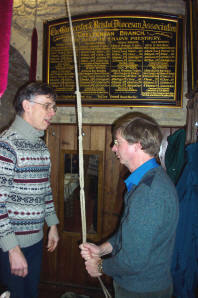 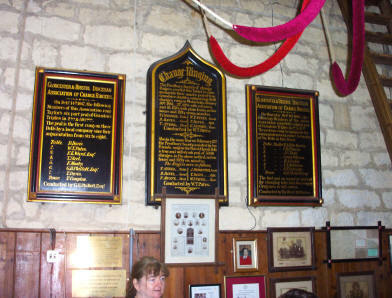 Around the walls of the ringing room are many commemorative panels of names of those taking part in successful peals and other memorabilia of ringers past and present.